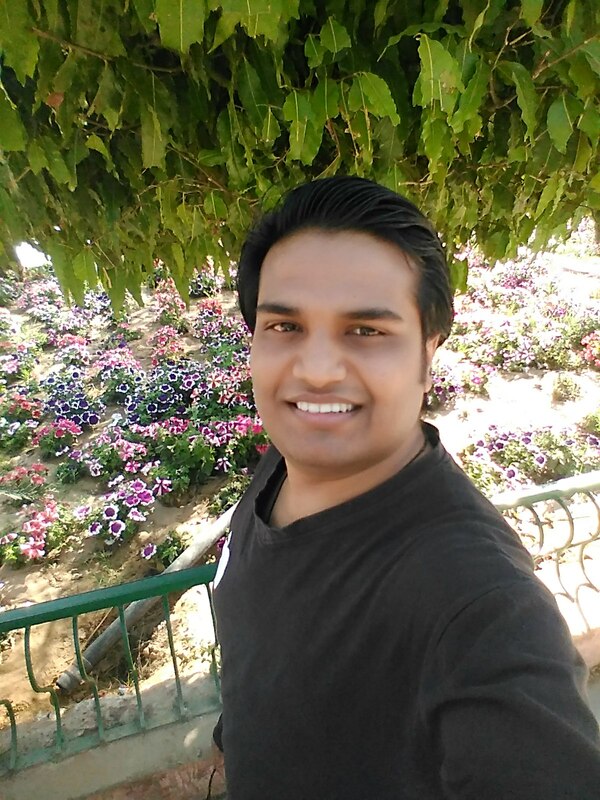 Shaadi Mein Zaroor Aana is an Indian Hindi language romance drama film. Directed by Ratnaa Sinha and produced by Vinod Bachchan under the banner of Soham Rockst Entertainment & Soundrya Production. The film features Rajkummar Rao and Kriti Kharbanda in lead role. 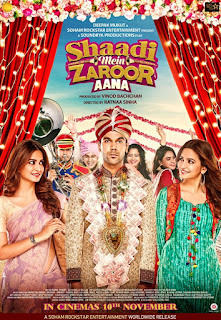 Shaadi Mein Zaroor Aana had a india released on 10 November, 2017. Shaadi Mein Zaroor Aana is romantic drama film that will see the first time on cinema Jodi of Rajkummar Rao and Kriti Kharbanda. Shaadi Mein Zaroor Aana is directed by Debutant Ratnaa Sinha and It's set to release on 10 November, 2017 and will clash with Irrfan Khan starrer Qarib Qarib Singlle. Debutant Ratnaa Sinha's direction venture Shaadi Mein Zaroor Aana is a small budget film and the film deal with a romantic relationship between a couple. 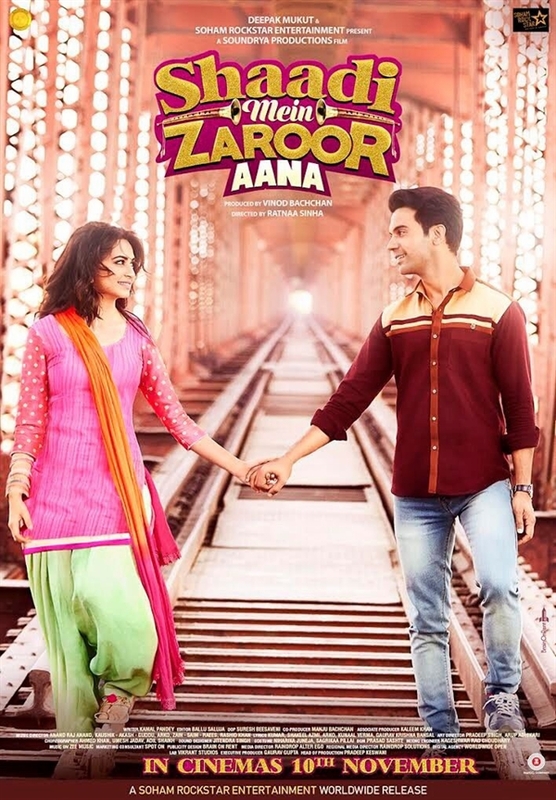 Rajkummar Rao & Kriti Kharbanda starrer Shaadi Mein Zaroor Aana full depend on word of mouth. 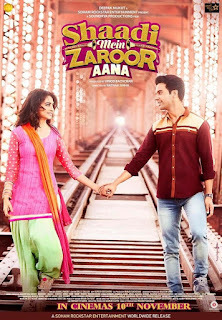 According to Jackace Shaadi Mein Zaroor Aana is expected to open better because of Rajkummar Rao's last two film Newton and Bareilly Ki Barfi were very successfu at the box office. According to Jackace Shaadi Mein Zaroor Aana is expected to open 01-02 Crore range. 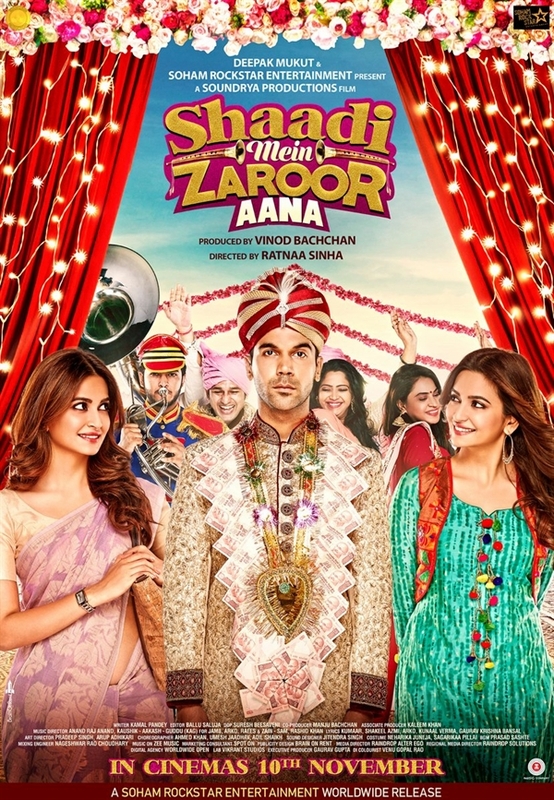 Shaadi Mein Zaroor Aana is a romantic drama revolving around Kartik Rajkummar Rao and Kriti Kharbanda's character. Satyendra Mishra [Played by Rajkummar Rao] and Aarti Shukla [Played by Kriti Kharbanda] a ordinary middle-class couple in India. They meet for a proposed arranged marriage and they fall in love in the process But Aarti Shukla decides to follow her dream and parts ways from Satyendra Mishra. 21 comments to ''Shaadi Mein Zaroor Aana: Box Office, Budget, Hit or Flop, Predictions, Posters, Cast, Release, Story, Wiki "
A must watch movie for Desi Indians, deals with issues and also resonates very well with modern youth and their problems. Heart touching movie that means i can't forget this movie. It's always superhit for me..